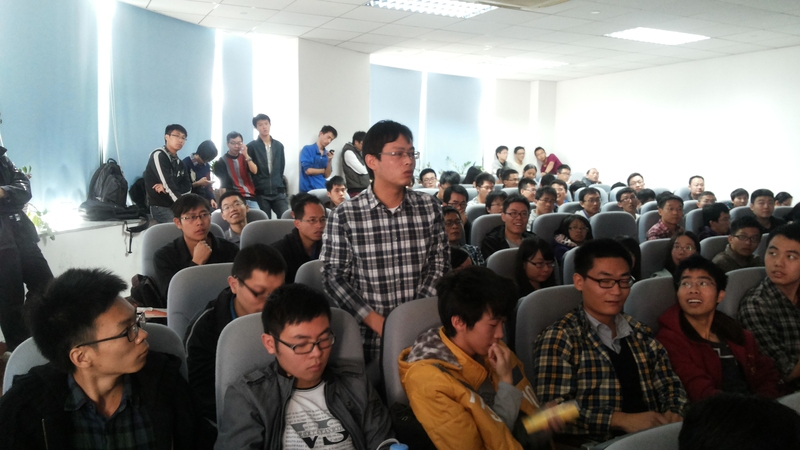 December 5, 2013 10:00am-12:00am, Ubuntu Kylin technical seminar was held at Zhongshan University East Campus (University City) School of Information 207 lecture hall, more than 100 students from universities participated in this seminar. Dr. Zhihui Zhan from Zhongshan university Information School hosted lectures, Ubuntu Kylin operation and maintenance of community leaders, Dr. Weihua Zhang from NUDT, Openstack personal code contributors, National Defense University Supercomputer Center team member Yingjun Li made ​​technical report《to do the most Chinese style operation system - Ubuntu Kylin project description 》and 《Openstack 》the audience is actively . After technical seminar, Ubuntu Kylin team members and Linux manager Jactry, Peishi and Jingheng Wu (Zhongshan University PhD) shared dunch together and discussed their views about Linux and open source software, as well as recommended for Ubuntu Kylin development. 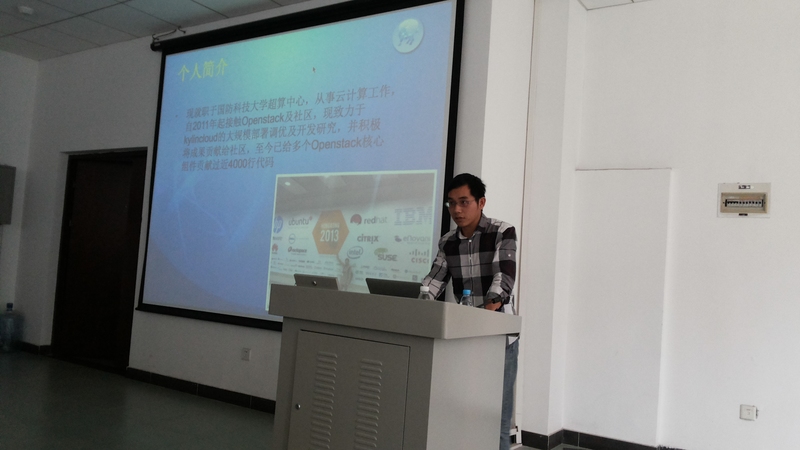 For example, Jactry recommend Ubuntu Kylin should do more to improve UI; Jingheng Wu focused on promotion and development of open source software in college. Finally, Ubuntu Kylin and Guangzhou Linux User Group reached a preliminary cooperation intention, including the establishment of Ubuntu Kylin mirror sites and open source software users associations in the Guangzhou University City and so on.